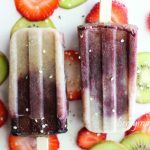 Hot days are already here, and if you want to cool down but don’t want any extra refined sugar in your ice cream, try to make this banana cherry sugar free popsicles , a frozen guilt free treat! The only mold i use for my popsicles is Fox Run 50302 Frozen Ice Pop Maker , it even comes with wooden sticks. When the pops are ready, just run the mold under the hot water and it will come out easily . 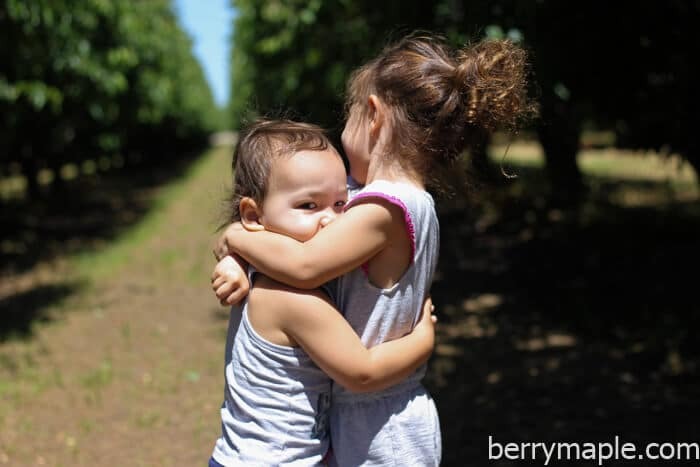 Juicy cherries are in season, luckily we have a cherry u-pick farm 15 min away from our house. Kids are having fun running around the cherry trees and I am usually just filling that buckets with delicious fruit! 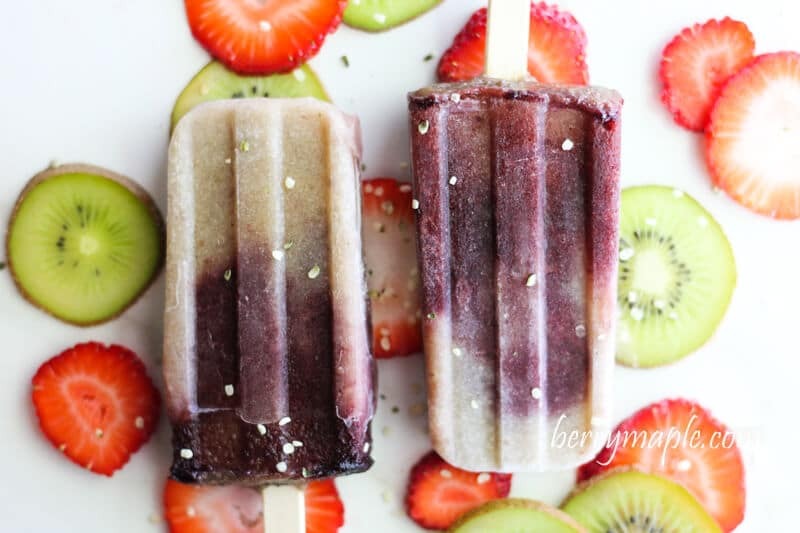 Healthy and guilt free summer treat for you and your kids ! Wash your blender. Now add all the ingredients for the cherry layer and blend until smooth . Now the fun part! And layers to your ice cream mold the way you like it! insert sticks and let it freeze at least 4 hours or overnight. When done, run the mold under the hot water and enjoy! If you see that any of your layers is too thin or thick , just add more cream or more fruit. Bananas, dates, and cherries are all fruit. Fruit that breaks down into sugar. It is impossible to have a “sugar-free” dessert that is made from actual fruit. Your recipe, as is, actually has 20g of sugar per serving. Thank you for your comment. I am going to change the title to refined sugar free to avoid confusion.